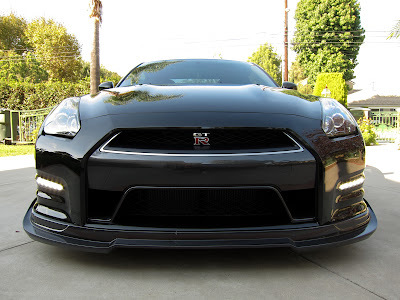 The front lip on a Nissan GT-R is low. Most owners front lips end up taking the brunt of driveway entrances and exits. 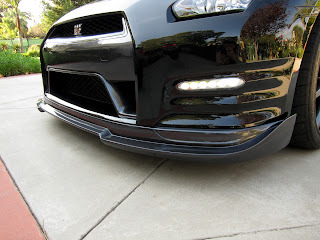 We have two products to protect, and enhance the front lip of 2012 and also 2009-2011 Nissan GT-R's. The part numbers for the early cars(2009-2011US) are different than the late car(2012US up). The STILLEN Urethane Lip Spoiler adds 2" of length to the OEM fascia, and installs directly onto the vehicle over the factory piece. 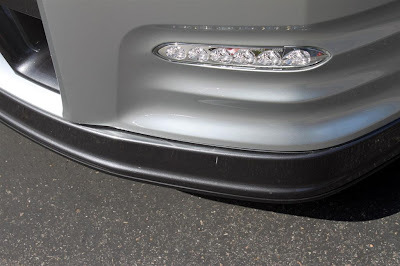 This lip spoiler is designed to hold additional air onto the nose, with flares on the side corners producing a canard effect for extra control. Another major benefit of the front lip spoiler is the durability. 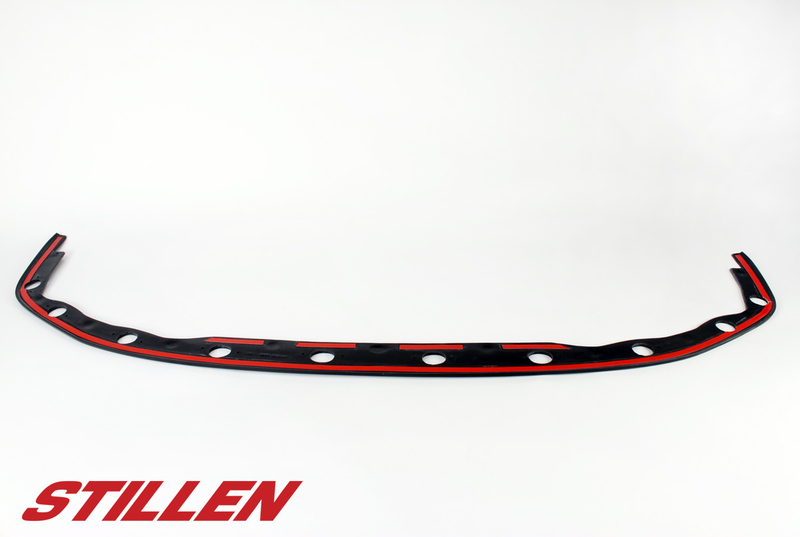 Constructed out of high-quality polyurethane, this front spoiler is nearly indestructible and carries a limited lifetime warranty. This means it can stand up to the hazards of the race track or the drive around town with 100% driver/owner confidence. 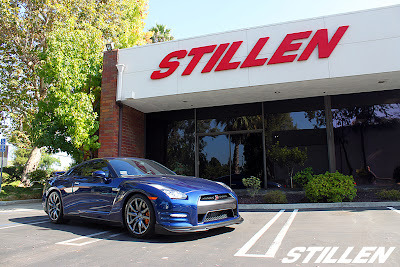 The STILLEN Skidplate is a popular product that helps protect the $1800 front lip. With it installed, it blends in with the factory look. One customer commented that the skidplate helps the front of the car to slide over any obstacles that he encountered like deep driveways.